The BORBET Design CC is a classical five-spoke wheel with a note of individuality. 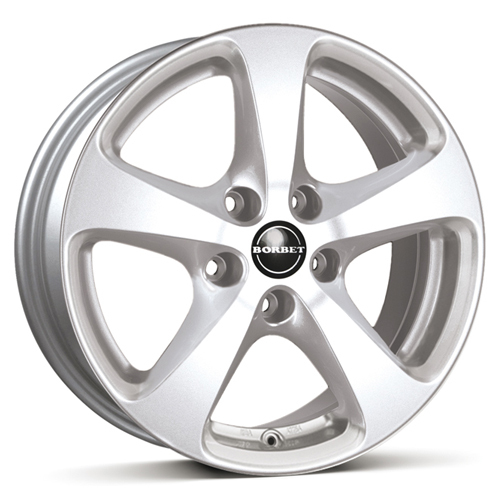 The clear and yet striking lines of this wheel turn it into a timeless classic with a super special effect. The crystal-silver painted wheels with the extra clear acrylic coat withstand any type of weather and are ideal for use in winter. 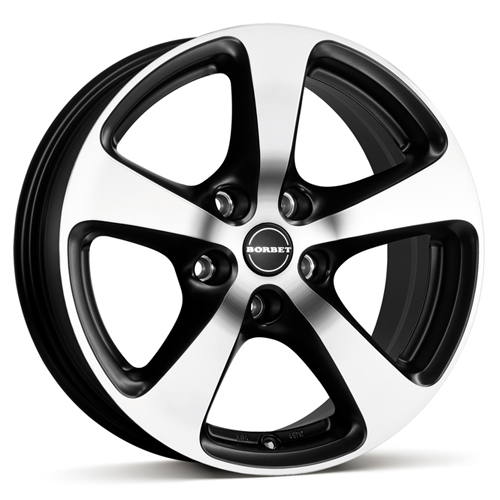 Another classic: The Design CC gets a whole new appearance with the paint coat in black followed by front polishing and a matt finish: The clear lines of the five front-polished spokes, that sweep elegantly from the centre of the wheel to the edge of the rim, are emphasized by the black matt paint and turn the wheels into real eye-catchers for your vehicle. It is not necessarily the case that heavy loads and a stylish design match. Both are skilfully combined in the new CC wheel design however. 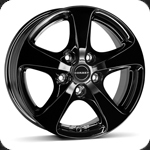 The generally known and popular 5-spoke CC wheel design is now available in a trendy black colour for light commercial vehicles and people carriers! After the crystal silver colour has already proven how popular it is, BORBET is impressively enhancing the dynamic look of the CC design with the black glossy colour. 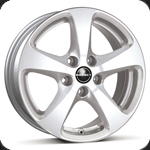 The powerful wheel design is perfectly suited to high wheel loads and transmits the power onto the road. Vehicles such as the VW Multivan are optimally equipped with the CC wheel as they are available in the series dimensions 7x16 and 7x17. Crystal Silver - 5-poldi ava. Black Glossy - 5-poldi ava.